An essential item for those who could end up having one too many! Please return to.... labels. 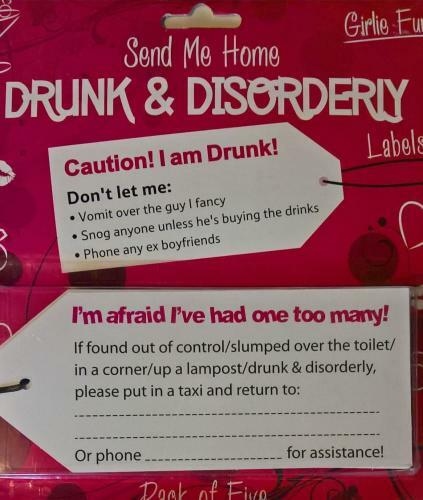 Simply write in your details while still sober, tie on securely and prepare to party!